So for those of you who want a really fun, creative last minute costume I've got one for you. 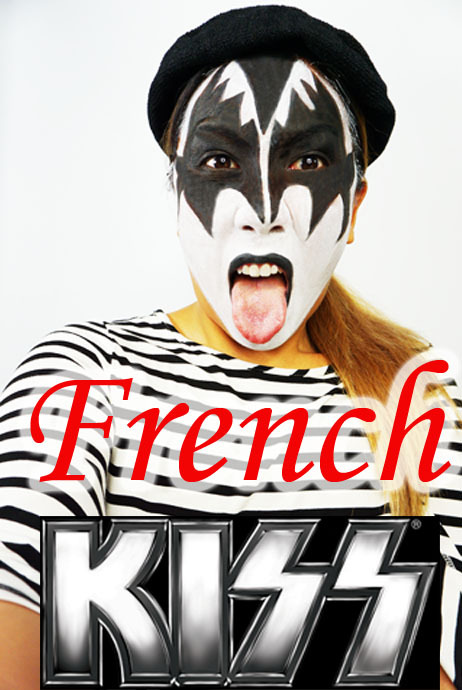 I saw this idea on Pinterest - it's French Kiss. 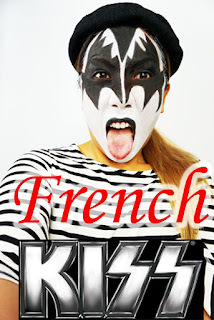 You wear a beret and a striped shirt to be "French" and you wear KISS Rockstar makeup. Cute right? You just need black and white makeup and a striped shirt and beret. Check it out! I got the beret from Amazon for super cheap. I already had the striped shirt so score! 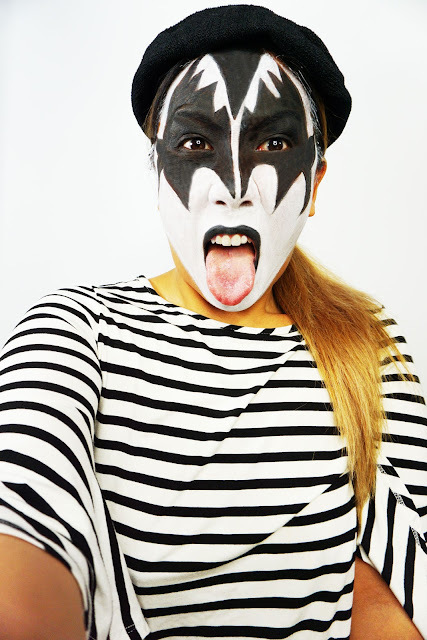 And lastly I just used black and white face paint which you can easily pick up at the Halloween store. Mine is Graftobian Pro Paint. You can also use black eyeliner. I think this costume is hilarious! If you need something last minute, this is it!